For every £1 spent in social media, a potential value of £3.34 can be generated, according to a study by the Internet Advertising Bureau (IAB) into FMCG brands including Heinz, Kettle and Twinings. Research found four out of five consumers would be more inclined to buy a brand more often in the future after being exposed to its social media presence, while 83% of consumers exposed to social media said they would trial a brand’s product. The study of the social media activity of Heinz, Kettle and Twinings over an eight-week period found there was a 22%, 17% and 19% uplift in sentiment respectively when a consumer was exposed to the brands’ social media presence. Uplift in sentiment was measured by asking a control group with no exposure to social media activity how favourable they were towards the brand and measuring sentiment against those who had been exposed to activity. Kristin Brewe, the IAB’s director of marketing and communications and chair of the Social Media Council said: "Social media is the only channel where it’s possible for brands and consumers to have meaningful two-way conversations, making the strength of connections that much stronger." Findings also revealed there was a 21 percentage-point increase in likelihood to recommend Kettle to friends when exposed to social media. Heinz Beanz trialled its new Snap Pots product during the eight week period, backed by regular postings, which drove the run. 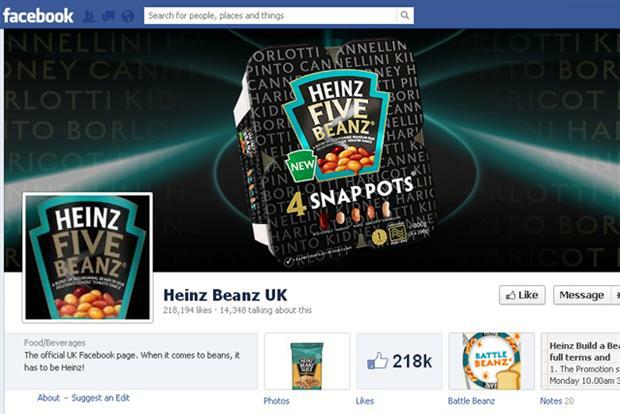 Ian McCarthy, marketing manager at Heinz, said: "Fans of Heinz Beanz expect to see us regularly in their social channels and react the best to content that’s about the products they love. "In the case of encouraging trial for a newer product line, frequency becomes even more important to support the new concept." The research was carried out by Marketing Sciences on behalf of the IAB’s Social Media Council and collected more than 4,500 responses.